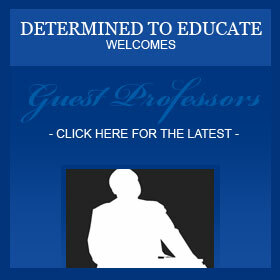 Determined To Educate | News | We On Tour! A School Tour that is, with Darryl ‘DMC’ McDaniels!! We On Tour! 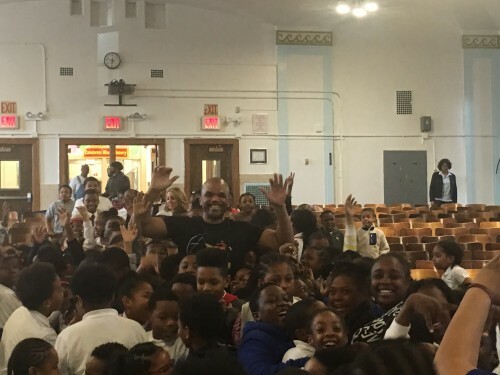 A School Tour that is, with Darryl ‘DMC’ McDaniels!! 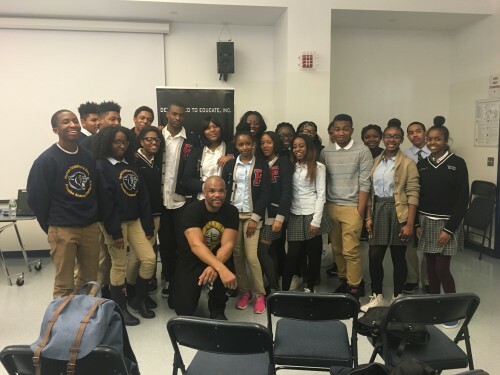 Darryl ‘DMC’ McDaniels, one of the amazing pieces to the Iconic Rock and Roll Hall of Fame Hip Hop Group ‘RUNDMC/JMJ (R.I.P)’ is back and is touring with us at The Harlem Children’s Zone and PS 132 in his hometown of Queens. As young as Kindergarten, these young people at PS 132 got some serious old school Hip Hop knowledge! !